Scroll down until you see the Open House section with an image of balloons. 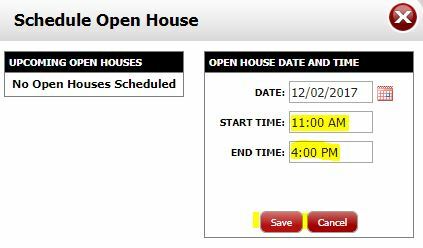 Click the red button labeled “Schedule an Open House”. Click the “Add Open House” button. 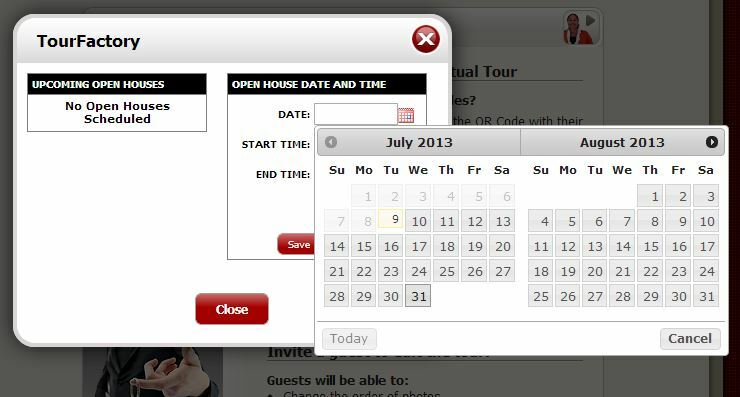 Type in the date of the open house or click the small calendar icon to view the calendar. Note – If you have more than one open house date, please add each open house separately. Enter the start time and end time for your open house using the format HH:MM AM/PM. Click the red “Save” button. Your open house has now been added. To add another, simply repeat steps 3-5. 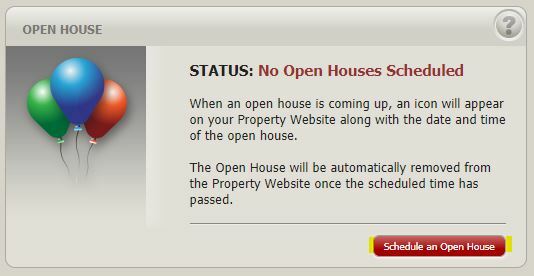 After the date and time of your open house passes, the open house will be automatically removed from your property website. Once you have added all your open houses, click the red “Close” button and you will be returned to your Site Summary page.